Terms & Conditions : Block out dates apply during long Brazilian Holidays and major events. 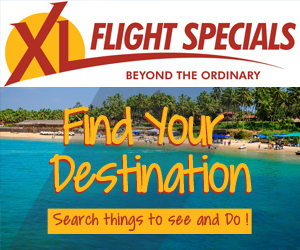 High season airfare supplement apply	Peak season surcharges and block out dates may apply. Prices are per person sharing, unless otherwise specified. All prices are indicative and correct at time of loading onto the Thompsons website and are subject to change due to currency fluctuations, rate increases, airfare increases and availability. For standard terms and conditions refer to www.thompsons.co.za E&OE. Exclusions All Items of a personal nature. Meals not mentioned. Medical and Travel insurance. FLY-IN PACKAGE INCLUDES: Flights throughout from Johannesburg on Latam Airlines including airline levy Private transfers from and to the airport Shared transfers from and to the train stations Train to Machu Picchu round trip in Expedition service (PeruRail) or Voyager (IncaRail) 2 nights of accommodation in Lima 1 night of accommodation in Paracas 1 night of accommodation in Nasca 1 nights of accommodation in Arequipa 1 night of accommodation in Colca 2 nights of accommodation in Puno 3 nights of accommodation in Cusco 1 night of accommodation in Sacred Valley 1 night of accommodation in Lima on Room Only basis Daily breakfast at the hotel from day 2 Lunch on day 7 and 8 in Chivay, box lunch on day 9 in Colca-Puno route, on day 10 in Puno, on day 11 in Sacred Valley and on day 14 in Aguas Calientes ENTRANCE FEES AND ACTIVITIES: All the visits mentioned in the above itinerary: Casa Aliaga, Cathedral and Larco Museum in Lima; Ballestas Islands in Paracas; Regional Museum in Ica, Nasca Lines in Nasca; Santa Catalina Monastery, Society of Jesus Church in Arequipa; Condor Cross in Valley and Colca Canyon, Uros and Taquile in Puno; Pucara, Racchi and Andahuaylillas on route from Puno to Cusco; Coricancha, Cathedral, Sacsayhuaman, Qenqo, Puca Pucara and Tambomachay in Cusco; Living Museum of Yucay, Chinchero and Ollantaytambo in Sacred Valley and Machu Picchu on day 14; BTC in Arequipa y Cusco. Terms & Conditions : Block out dates apply for the tour. High season airfare supplement applies: Prices are from a starting price per person sharing, subject to change, airfare increase, currency fluctuations and availability. Taxes are estimated and based on the current exchange rate and are subject to change. Advance purchase, peak season surcharges, block out periods and minimum stay conditions may apply. Please note that airport taxes, fuel levies & surcharges are approximate and subject to change, the exact amount will be confirmed at time of booking. Valid for dates as specified. Group rates available on request. Thompsons Standard Terms and Conditions may apply. E & OE. Exclusions All Items of a personal nature. Meals not mentioned. Alcoholic and non-alcoholic beverages during meals. Medical and Travel insurance.Additional optional visits. High Season Mandatory supplementaries for special dates like Easter Holidays, Inti Raymi, National Holidays, Christmas and New Year´s mentioned separately. Terms & Conditions : High season airfare supplements apply Prices are from a starting price per person sharing, subject to change, airfare increase, currency fluctuations and availability. Taxes are estimated and based on the current exchange rate and are subject to change. Advance purchase, peak season surcharges, block out periods and minimum stay conditions may apply. Please note that airport taxes, fuel levies & surcharges are approximate and subject to change, the exact amount will be confirmed at time of booking. Valid for dates as specified. Group rates available on request. Thompsons Standard Terms and Conditions may apply. E & OE. Exclusions All Items of a personal nature. Meals not mentioned. Medical and Travel insurance. Terms & Conditions : Block out dates apply for the tour. High season airfare supplement applies: Prices are from a starting price per person sharing, subject to change, airfare increase, currency fluctuations and availability. Taxes are estimated and based on the current exchange rate and are subject to change. Advance purchase, peak season surcharges, block out periods and minimum stay conditions may apply. Please note that airport taxes, fuel levies & surcharges are approximate and subject to change, the exact amount will be confirmed at time of booking. Valid for dates as specified. Group rates available on request. Thompsons Standard Terms and Conditions may apply. E & OE. Exclusions All Items of a personal nature. Meals not mentioned. Medical and Travel insurance. Terms & Conditions : Prices are from a starting price per person sharing, subject to change, airfare increase, currency fluctuations and availability. Taxes are estimated and based on the current exchange rate and are subject to change. Advance purchase, peak season surcharges, block out periods and minimum stay conditions may apply. Please note that airport taxes, fuel levies & surcharges are approximate and subject to change, the exact amount will be confirmed at time of booking. Valid for dates as specified. Group rates available on request. Thompsons Standard Terms and Conditions may apply. E & OE. Exclusions All Items of a personal nature. Meals not mentioned. Alcoholic and non-alcoholic beverages during meals. Medical and Travel insurance. Terms & Conditions : Please note that this package is ONLY valid for the duration specified and any additional nights need to be quoted separately. Peak season surcharges and block out dates may apply. Prices are per person sharing, unless otherwise specified. All prices are indicative and correct at time of loading onto the Thompsons website and are subject to change due to currency fluctuations, rate increases, airfare increases and availability. For standard terms and conditions refer to www.thompsons.co.za E&OE. Exclusions All Items of a personal nature. Meals not mentioned. Medical and Travel insurance. Optional tours at an extra charge. Terms & Conditions : High season airfare supplement apply. Block out dates apply over certain periods. Subject to availability at the time of booking Peak season surcharges and block out dates may apply. Prices are per person sharing, unless otherwise specified. All prices are indicative and correct at time of loading onto the Thompsons website and are subject to change due to currency fluctuations, rate increases, airfare increases, and availability. For standard terms and conditions refer to www.thompsons.co.za E&OE. Exclusions All Items of a personal nature. Meals not mentioned. Medical and Travel insurance.